Tithing is the practise of regularly giving a percentage of one's income. I first heard about this concept a long time ago, but I can still remember thinking how wonderful it would be, to have sufficient wealth to be confident of making a regular commitment to giving. I didn't entirely understand the dynamics! In the years since then, I have made regular donations and given of my time and energy to various causes, but I have never made a formal commitment to a regular percentage of my income until now. Mrs Osborne Recommends pledges to give 10% of profits to Angel's Kiss. However. I have never been accused of being too conformist so, not surprisingly, my kind of tithing is not just about money. It's also about donating time, energy, using your skill set; giving some space in your heart. My tithing is about giving, even if you're a tiny bit scared that you don't have enough, because giving nurtures a feeling of plenty, that begins to dissolve a feeling of lack. Giving will bring wealth to your spirit and richness to your life, because when we genuinely dig deep into the pocket of our own humanity, we find that we are so much more than we have imagined. But we cannot give to everything, we cannot be involved with everything, and neither should we be. There are forgotten souls and desperately worthy causes everywhere. Dire situations call for everyone to open their hearts, not for a minority of individuals to shoulder the troubles of the world. Charitable work can be exhausting and demoralising, and deeply distressing, so we must choose wisely how we use our energy and attention. In charitable endeavour the going will nearly always be tough, and in order to keep going when it gets even tougher we must give to those causes that push our buttons enough to drive our motivation, yet do not render us incapacitated when atrocities are revealed. That way, we will find the courage and conviction to keep going when our spirits flag. Mrs Osborne Recommends makes regular donations to humane medical research and child welfare, and I, personally, rolled up my sleeves to get my hands dirty for dogs. Because I was able to do it, and be genuinely useful, without crumbling into a heap at the horror of it all. The problem of unwanted pets, indiscriminate breeding and irresponsible ownership is one of gargantuan proportions, and it's everywhere, so it's important to feel that what one is doing is not just a drop in the ocean and that it can make a real difference. Mrs O has helped and continues to help dogs in the UK, but was very actively involved in helping canines in north west Spain. Grass roots campaigning to highlight the appalling situation there and to change policies in that area has been underway for some years, but there is a staggering lack of practical, hands on, charitable assistance. Every little bit of help counts and makes a significant difference to the pitiful lives of the dogs who are suffering there right now. Being part of that solution feels good, and it feels rewarding, but more importantly, it feels right. Angel's Kiss set a target of helping 100 dogs and incredibly, we achieved that target. We are no longer actively rescuing and rehoming from Spain because we have pledged to support the dogs we have already helped, along with their adopters, throughout their lives. But we like to think that we made a difference. 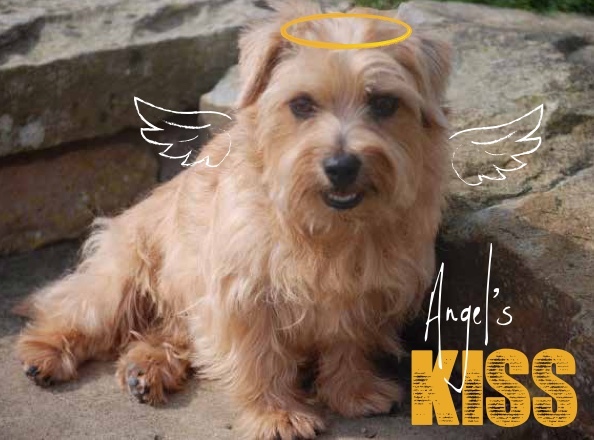 Angel's Kiss was set up to help only the most desperate of cases; invisible dogs that had endured years of neglect or abuse and that suffered in silence, unnoticed. We worked only with other rescues or volunteers; we did not take dogs directly from members of the public. Not every dog we helped came into rescue because much could be done by sourcing foster homes, finding other more appropriate rescues or placing dogs directly into forever homes. Some though, did come directly into our care and it goes without saying that every one of those dogs received the best possible veterinary attention and was microchipped, vaccinated, neutered and treated for parasites as standard. But what we really excelled at was providing sanctuary and healing. When the broken souls were sufficiently mended we found suitable forever homes or places in breed specific rescue if that was more appropriate. Charitable causes can be deeply distressing and interfere with our own wellbeing, sometimes to a degree that is harmful to our health. I am no different in that respect. For that reason, we never showed page after page of heart rending stories and shocking photos. Those wretched cases were, and are, still out there. But being overwhelmed by horrors creates a feeling of helplessness and despair which can be paralysing. We wanted to cultivate the positive, empowering feeling of hope, which can be transformed into direct action. We focused on a small number of invisible souls at a time and those souls have now found hearts and homes, and belong to the small but committed Angel's Kiss community. Saved forever.